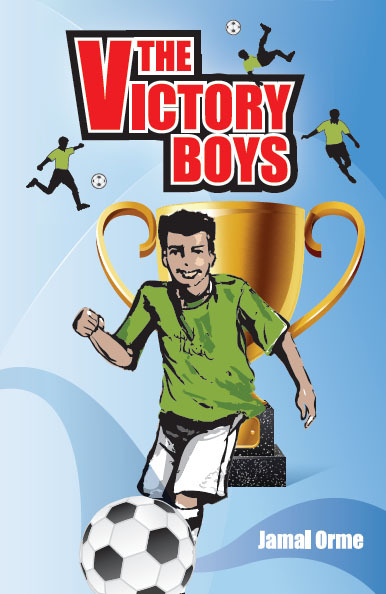 TA: Assalamu alaikum, today we’re going to be speaking to brother Jamal Orme, the author of The Victory Boys. Assalamu alaikum brother. JO: Wa alaikum assalam wa rahmatullah. TA: I hope Ramadan’s going well for you Insha Allah? JO: Alhamdulillah, yes, like people always say, it’s gone very fast and Alhamdulillah it is indeed a blessed month and one that I think we all need as Muslims. TA: Definitely. Would you mind letting us know about the story of The Victory Boys, what it’s about and what kind of age group it’s aimed at? JO: Yes certainly. The age group would be roughly, I think, anywhere between a fairly able seven- or eight-year-old reader to a, maybe up to about thirteen or fourteen at the top end. The characters are mostly around the age of thirteen. Er, The Victory Boys is a book about a fairly small Muslim community in a seaside town and the Muslim boys in the mosque – they attend the madrasa on a Sunday – they’re not very enthusiastic about attending and the imam isn’t very enthusiastic about their performance at the madrasa, he seems to be a little bit disconcerted about how they love football with a passion but they don’t seem to love their religion very much. TA: Why did you feel that you needed to write about this specific topic? JO: I think that from my experience of working with Muslim children – I’ve previously taught in a multicultural school in London and then I taught in a couple of Muslim schools and… obviously my nephews and nieces are Muslim… but my feeling is that it’s difficult for children if they’re not given very positive images of Islam and how Islam can interact with the world… the other world that they live in if you like; their experience from the more secular part of the world, you know, their interactions in a non-Muslim school, and what they see on the TV every day and things like that… I want to try and unite the two worlds that they live in and I felt that a book like this can do this because it’s a scenario really children face in real life, the one in my book, where it brings football and Islam together, then I felt that that really could be a result of it. TA: Yeah that’s great because the boys obviously they love football, and this is a way of bringing both worlds together, as you say. So, the title that you’ve chosen – The Victory Boys – was there a story behind that? JO: Um, I can’t quite remember actually… I certainly remember being struck by the fact that they needed to have a name and there’s part of the story where their name brings some sort of derision from another party… but the name of the team is Shabab al-Nasr – well, my Arabic is not brilliant but I went to check with the imam at my local mosque to make sure that that did mean The Victory Boys and he said it did. I think, obviously, The Victory Boys is quite a positive sounding name which probably makes it a good title for a book as well, and also as will hopefully become clear from the book, that the victory is not just related to what they may or may not do on the football field – I don’t want to give too much away there – but it’s also talking about victory within the community, because… as you will find, when the book starts, really nobody is very… people aren’t very integrated, people aren’t really working together; there’s no dynamism and there’s no positivity, everyone’s a bit frustrated with each other… the transition to the end of the book is all about how both on an individual level – there’s various characters in the book – and the community as a whole, they’ve sort of really stepped up their game a little bit and are feeling much more happy with themselves as Muslims and as brothers and so on. TA: So are you hoping to write more books about the same topic, sort of a continuation maybe? JO: Well, I’ve written a manuscript for the sequel already, and I’m fairly hopeful that that will be approved, with no doubt as I said a bit of tinkering to improve it, I mean that’s obviously a very important part of the process, but yes there is intended to be a sequel to the book. 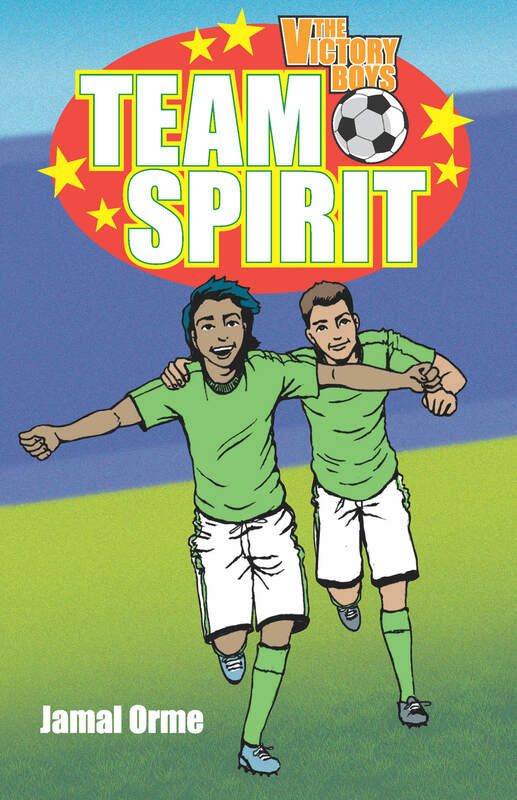 It’s still very football orientated but it’s also dealing with a lot more serious problems… the main problem in The Victory Boys is about apathy and not having a sufficient love of your deen and not seeing how it can apply to your daily life, whereas the second script is more about individual problems that teenagers might encounter and many do encounter and have to deal with those. TA: So your book is available just now and the second one is out sort of when? TA: Insha Allah. Why do you think it is that there is more written by Muslim sisters about Muslims sisters than Muslim brothers? JO: I don’t know, I think… I can only suggest possible reasons for that… one of the key things we see in education all the time, this drive to get boys to write… why won’t boys write… what do we need to give them as stimulus to make them want to write, and it’s this real thing of… boys don’t seem to grasp the literary world with the same [inaudible] and I don’t know… I certainly don’t think that’s true for all boys by any means and it’s not true of all girls either but it’s the general trend that we seem to observe… I don’t know that possibly boys are a bit more drawn to the alternatives to reading, things like TV, Playstation and various other consoles… I don’t know if it’s something to do with that… um, and I think, I mean one of the things I’ve had with the feedback I’ve had for my book so far is it’s all been very good but most of it, oddly enough, given that they weren’t the sort of the target audience… most of those reviews have been from girls. TA: That’s quite amazing. I suppose girls reading more and a little bit more, er, able to express themselves and… whereas maybe boys are a little bit into, as you say, their consoles and that. Um, so do you feel that books are still just as important today as they were maybe ten or twenty years ago when the Internet wasn’t so widely used in our homes? JO: Well I definitely think they are and obviously I would say that because I want people to read and enjoy my book, but on a serious note, I really do think that, because I think your scope for turning the book into, you know… to reconcile it with your own experience, which is what you can do when you’re reading a book, when you take an alternative to a story, in other words as a film or a TV series or something like that, you’re having very much the images projected onto you, you don’t have any scope to change those, you can’t choose to reject the image you’ve seen and prefer how you thought the character should be because the minute you’ve seen that character or those surroundings, you’re really being told how to see it. I think when you read a book, you certainly have some scope for interpreting the character how you like; you see them, I mean obviously if there are illustrations in the book, I mean that kind of gives you the image of how they look, but, in terms of their mannerisms and so on… you know, the way they move, the way that they shrug their shoulders or whatever it might be… you control how that appears for you and I think that we need to have… it’s important that children are using their imagination [inaudible] using their imagination and when we’re always being drip-fed images on the TV and ways of thinking, then we’re not really thinking for ourselves any more, so yeah, I certainly think that books are hugely important. TA: I haven’t actually read your book, I’m sorry, but do you have images… pictures in your book? JO: There are some images in my book, yeah, there’s a very good illustrator whose name is Eman Salem who did the pictures for the book. There are some pictures of characters in the book, yeah. TA: Mm, cos, all right, I know that, well, with my daughters, they would flick through the book – There are no pictures, I can’t read this! JO: Yeah, I suppose so [inaudible] I think um… notwithstanding what I said earlier I think that the illustrations are very good and the characters… I mean particularly the imam I have to say, I think his picture is almost exactly how I imagined him when I wrote it, so he… I think that the characters do help bring out… the illustrations, sorry, do help bring out the characters. Um, and, yeah I mean the quality obviously adds to the general quality of the book. TA: That’s all very interesting, thank you, and I’m sure the audience will look forward to reading The Victory Boys if they haven’t done so already, and we all hope that… all the success for you in the future. Thank you for speaking to us. JO: Insha Allah, jazak Allah khayr for having me on and a blessed Eid to everybody Insha Allah.